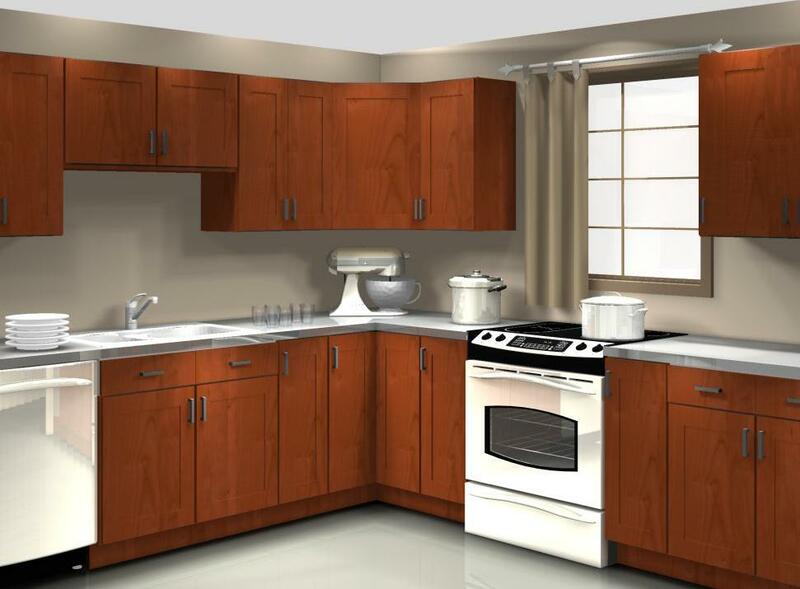 Your IKEA kitchen is the busiest room of the home, as well as one of the most frequently remodeled spaces. 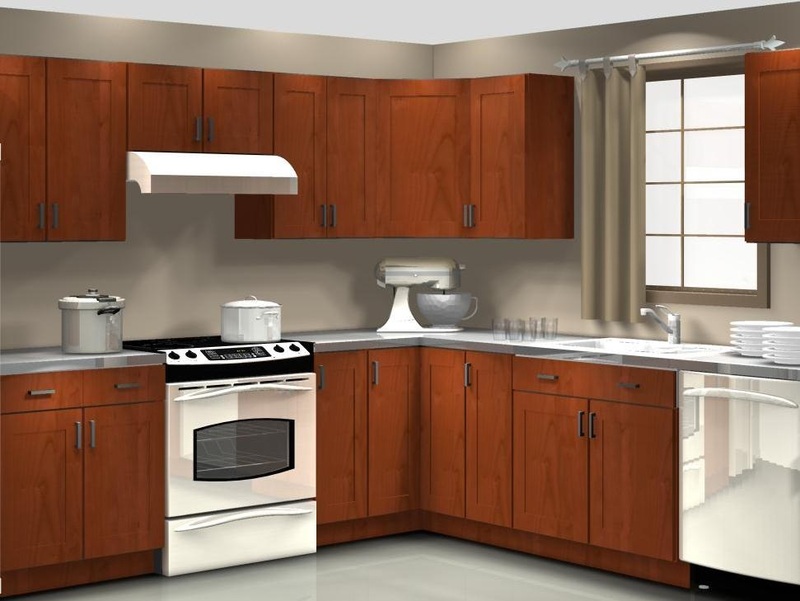 Unfortunately, the kitchen also can be the most dangerous room of the house if it’s been poorly planned without taking IKEA kitchen safety into consideration. 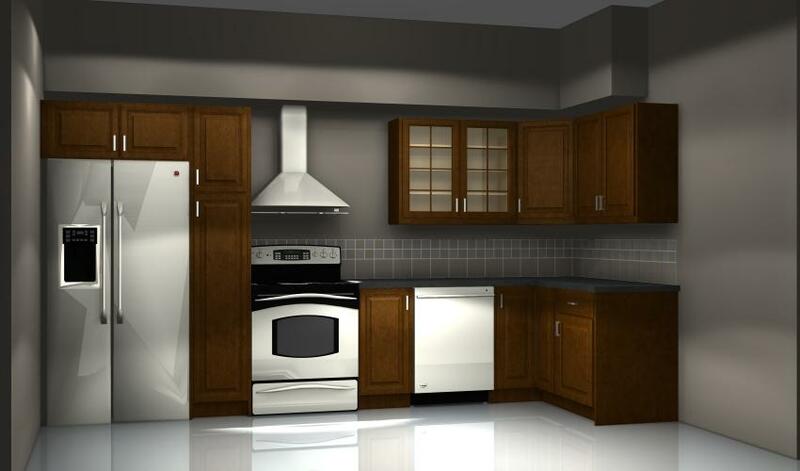 Your kitchen designer should consider potential fire hazards and construction codes. This can prevent fires in your kitchen and keep your family safer, especially if you have children. No friend or family member dares to give grief to the home-Teppanyaki cook in this kitchen; they’ll be completely out-knifed – so they’d better pipe-down! Japanese style food served directly to your plate at home is fun. It’s also a good idea for a cook-top grill. 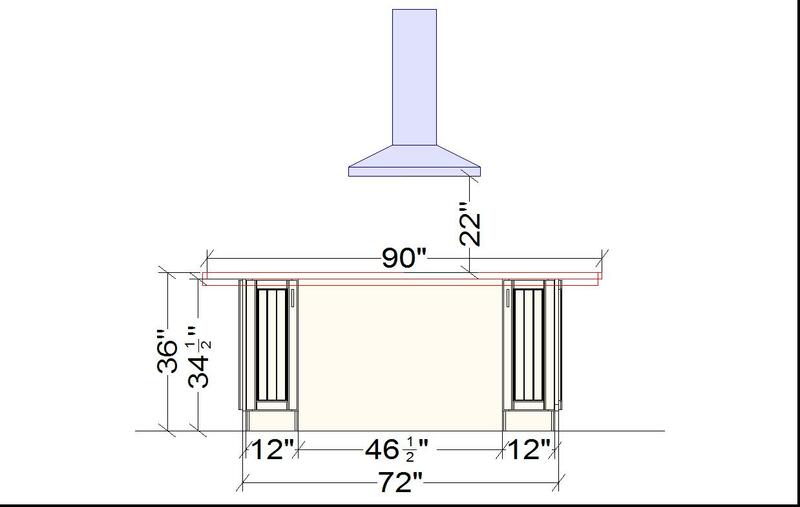 A standard island becomes a comfortable eating area by adding two 12″x30″ wall cabinets on the back of the island to support a countertop overhang. 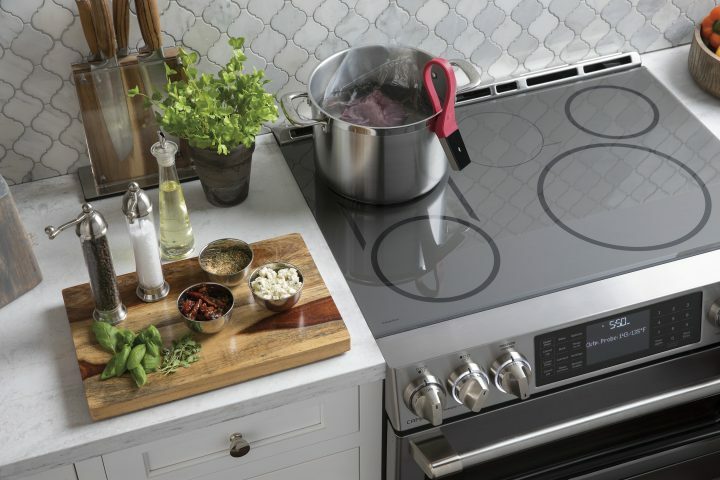 Normal cooktops sit in a countertop cut-out; all four exposed countertop edges of the cutout are covered by the rim of the cooktop itself. 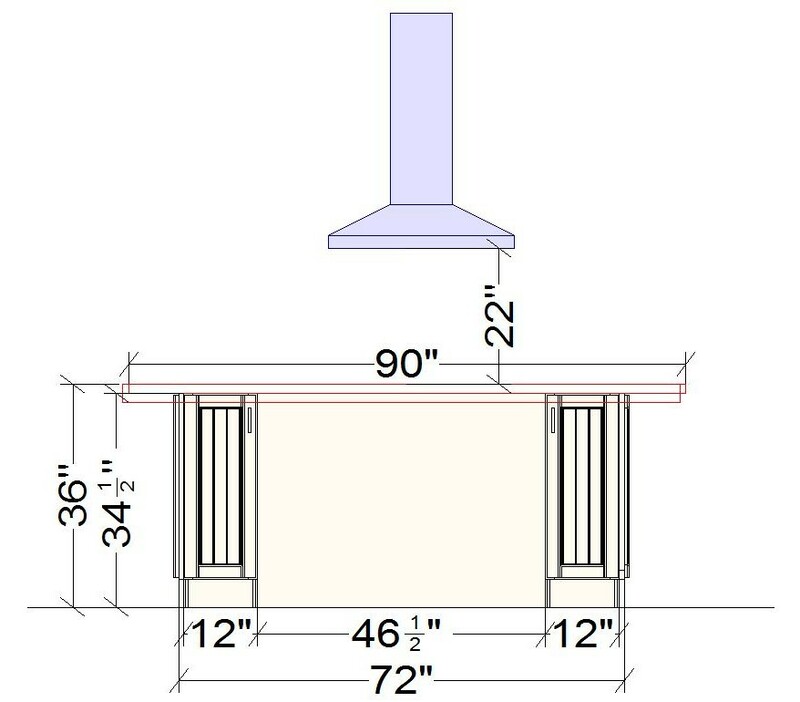 Front-controlled cook-tops are unique because the countertop is cut on three sides – so the exposed countertop butts up against the edge of the cooktop. 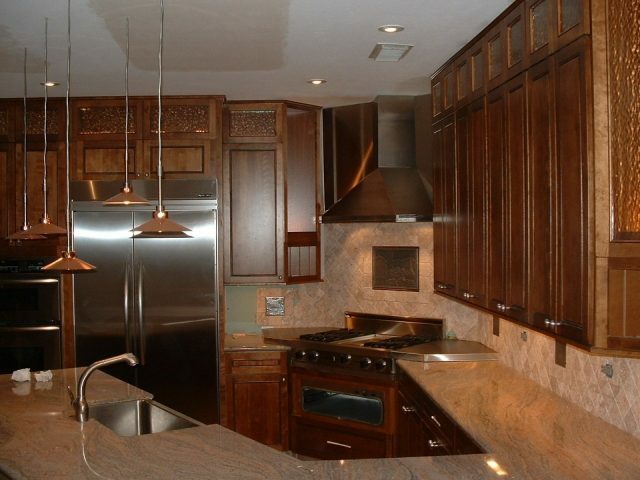 The constant heat and the open flame will damage the edges of the countertop over time. They might not catch on fire but they’ll be very hot. An unnecessary obstacle is created. When cooking with a large and heavy pot, it’s easier to slide it directly to the countertop without lifting it much. 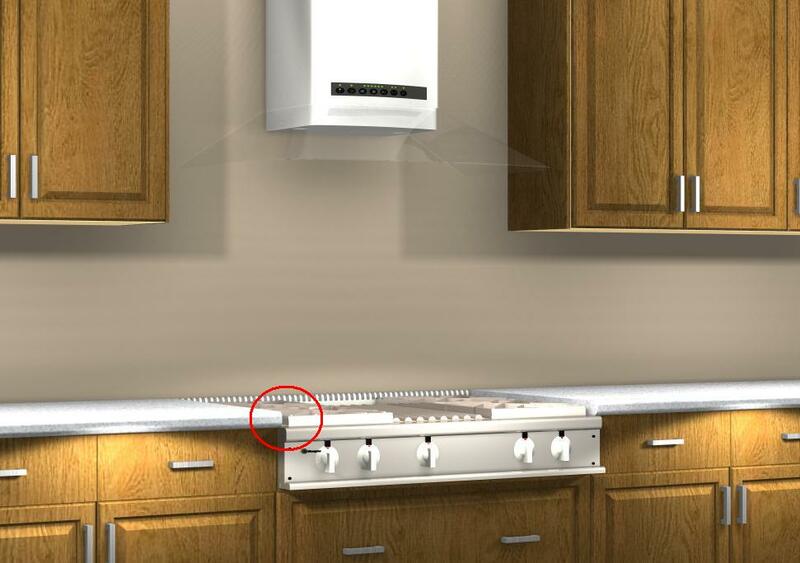 But if the cooktop is below the counter, the pot will bump into the edge and cause a spill. An open window above the range invites breezes that distort the flame and disperses its heat – making it inefficient. This results in a higher consumption of electricity or gas. There’s no room for a ventilation hood, which means that cooking odors linger on for a while. Sauce and oil splatters will constantly dirty the window. It’s a fire hazard! Just think of a draft blowing the curtain near the flame and catching on fire. Shown below is a safer, cleaner and more practical design solution . . .
There’s an IKEA tall cabinet directly to the left of the range. A very serious NO-NO and a design error that a professional would never make. Splatters and Smudges: It’s inevitable. Whenever you cook, something’s bound to jump out of the frying pan – and the worst part is that it’s not necessarily something you are going to notice right away. Spaghetti sauce is easily spotted, but what about oil? It may be noticed it after it’s dried up and hard to get the stain out of the cabinet. No one wants their cabinets to become splatter stoppers. Heat: Designing the side of the tower right next to a source of high heat will significantly reduce the life of the cabinet. It will damage the melamine and veneers – causing peeling – and the walls of the IKEA tall cabinet will become weakened. Very uncomfortable cooking: It’s necessary to have the area on the sides of the range free to cook properly. You want to be able to move the boiling pots around easily and to not have to put your arms directly over them because of the tall tower. 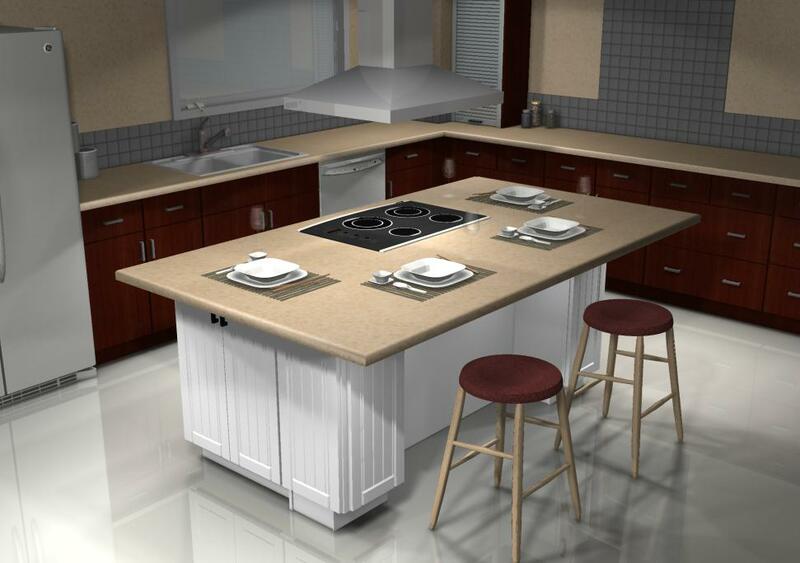 Also, a countertop is absolutely necessary on both sides of the range for prep and a working surface. So, what should’ve been done? Either eliminate the Tall Tower and design a base and wall cabinet instead. Or, decrease the width of the base cabinet to the right of the range and place a new base cabinet to the left of the range with that same width. Oh, and your blogger did notice the refrigerator next to the wall . . . but it’s best discussed at another time.